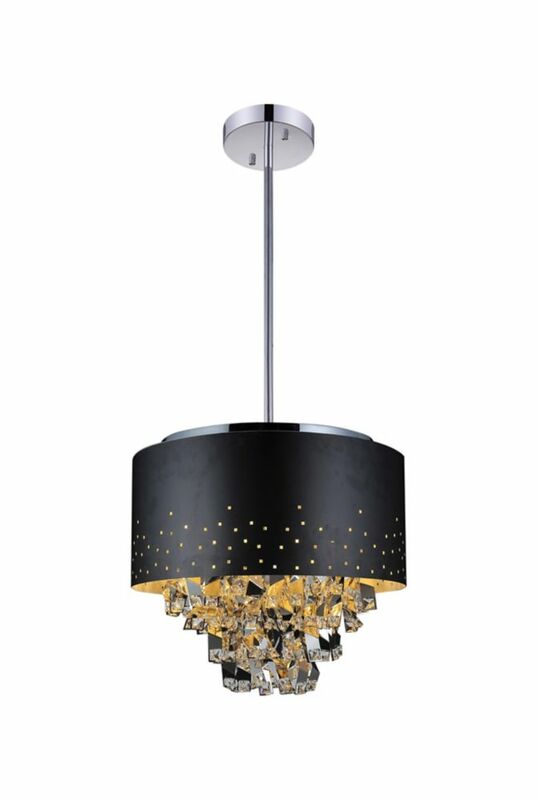 D: 16" x H: 16 - 48"
The Eglo Collada LED contemporary pendant is an energy efficient product which lasts up to 25,000 hours, has an adjustable height and is dimmable. You can also change the colour temperature of the light from warm white to cool white. It can be applied in the kitchen, dining room and office. Add a vintage industrial element to any room with Globe Electric's Damon 1-Light Pendant. Complementary to all dicor styles, a matte black finish pairs perfectly with a caged shade to produce a look that can stand the test of time. The black woven fabric hanging cord can be adjusted to a variety of different lengths for all your lighting needs and desired look. The exposed bulb allows you to make this piece truly unique by adding any bulb you like - check out Globe Electric's variety of vintage Edison bulbs to complete your look. For a more refined style simply remove the cage shade and add a larger bulb. The maximum hanging height with the cage on is 72-inches and with it off is 69-inches. Includes all mounting hardware for quick and easy installation and requires one E26/medium base 60W bulb (sold separately).